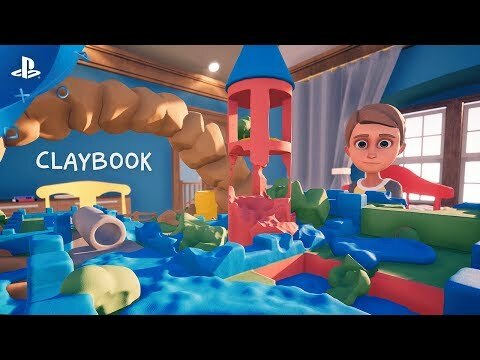 Claybook is a unique physics-based puzzle game in a world made entirely of clay. Shape your character and the world around you to overcome challenging obstacles. Everything in our world acts like it would if it was made out of real clay. Every part of the environment can be shaped and molded in order to complete objectives throughout the chapters. 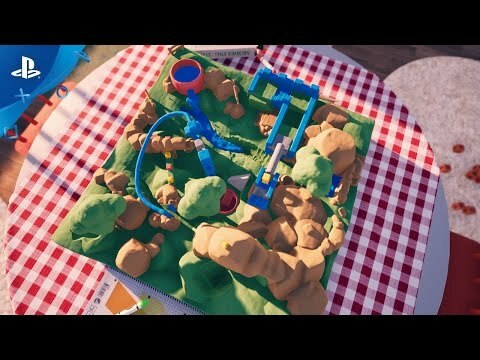 Claybook is a unique physics-driven game. You possess clay blobs and morph them to different shapes. Each shape has its own strength and weaknesses that you can use to reach new areas. Interact with fluid clay flowing through the world. Freeze it, build channels for it to run down, or use it to erode away obstacles. Float atop the clay to reach new heights, or even use it as rocket fuel. Create your own worlds of clay with the easy to use ingame editor and play them immediately alone or in local player.